U.S. Army Specialist Jordan C. Schumann loved his country with all his heart. When asked about his favorite holiday, he'd readily respond with "the 4th of July! Jordan was so proud to serve his country. On July 5, 2011, he was stationed in Afghanistan. On that day, Jordan was driving out to aid and assist another squad. Tragically, his truck hit a massive improvised explosive device: At only 24 years old, he died on July 5 -one day after his favorite holiday. And, at the time of his death, his wife was expecting their first child. Jordan's precious mom, Linda Schumann, said it best: "Memorial Day, for me, is the day to go to Arlington and stand and look at my son's tombstone and know that everybody there was willing to give their life for me." 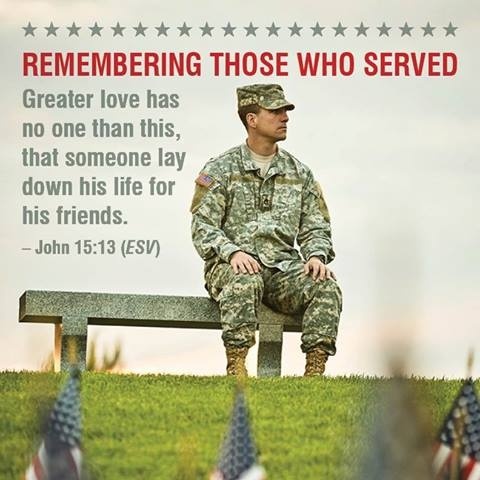 Indeed, Memorial Day offers each of us an opportunity to appreciate the sacrifice and reach out to military families. It is a time when we remember these brave men and women who willingly died for freedom. They died so that we may live in peace and safety. Another moving true story is that of Karen Zook, another Gold Star mom. Her son was Ian Zook, a Marine who bravely died for our country. Ian served in Iraq. One day, he was in the lead Humvee on its way to rescue wounded soldiers. Suddenly, he was ambushed. And he was killed by three anti-tank mines buried in the road. They detonated directly underneath him. It was horrific. Like Linda Schumann, Karen accurately described the true meaning of Memorial Day: "It is not barbecues, it is not hot dogs, it is not a family get-together... It is a solemn holiday where you honor those who laid down their lives for our nation. I am very proud of my son. To me, he's my hero." To that, we add: He's our hero, too. Every single man and woman who has given the ultimate sacrifice should be everyone's hero/heroine. From the War of Independence to the present day, over 1.1 million Americans have died in war. Think about it: All those men and women were dads, moms, sons, daughters, sisters and/or brothers. Each left behind heartbroken families. It is a heavy realization that each one selflessly fought and died for us. They did not die in vain. They died so that freedom can ring. We must echo that to all of our loved ones -including kids, teens, etc. 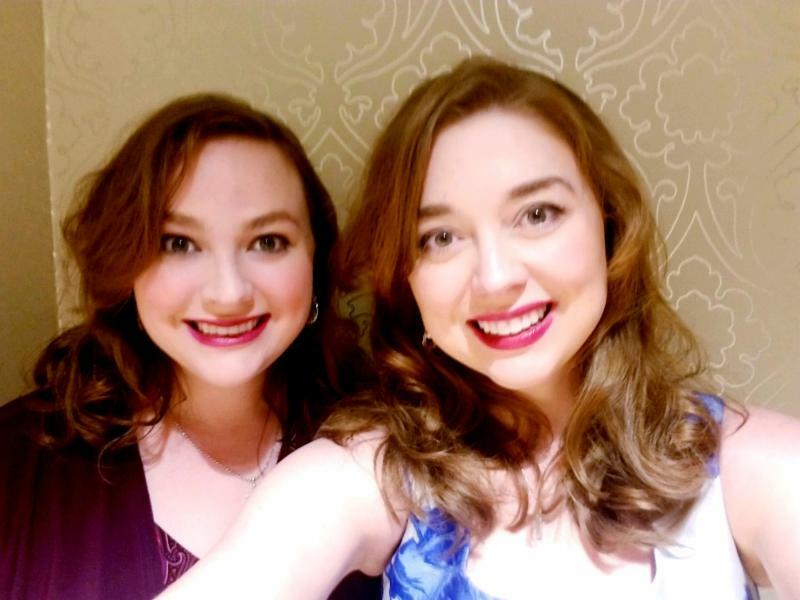 As Christian millennials on a mission, we desire to change the tide of apathy to a wave of appreciation and outreach full of God's love for veterans and military families. Please join us as we pray and continue to do this throughout the year. Indeed, may this Memorial Day cause us to remember the selflessness, the grit, and the courage of our current servicemen and women and veterans. Please read the below true stories of heroes who willingly gave their lives to save their comrades and defend freedom. Share these stories with your family and friends. Such true stories really teach and motivate others to do the right thing. Again, please share. In closing, may we all slowly and deeply think about the words of Christ: "Greater love has no one than this, that someone lay down his life for his friends" (John 15:13). 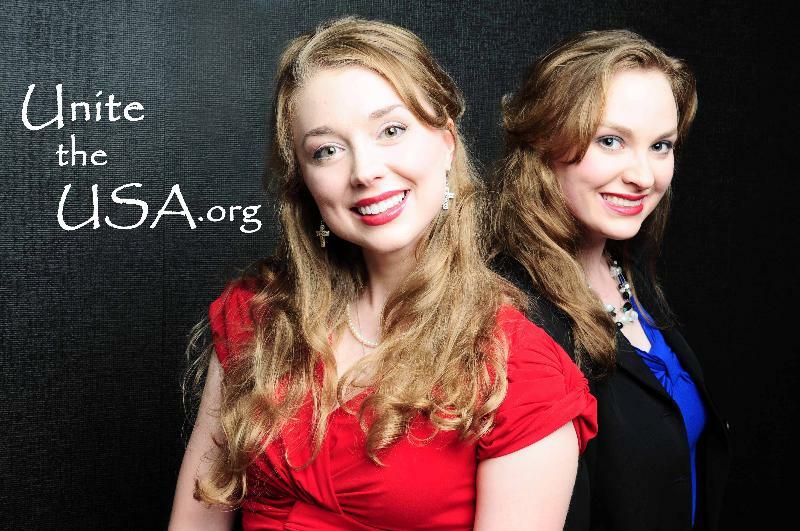 Stacie and Carrie will be on radio shows to talk about Operation Honor Heroes! 2. 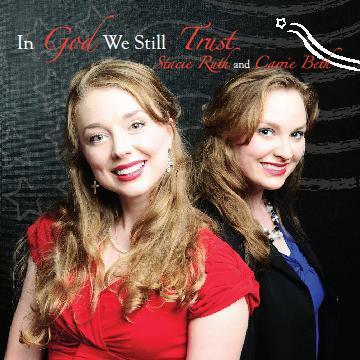 Stacie and Carrie will be on WHO with Simon Conway on Monday, May 28 at 6:00 P.M. Central. 3. 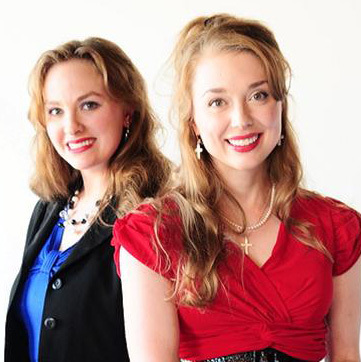 Listen to Stacie and Carrie's interview on American Family Radio (Today's Issues). We would appreciate the opportunity to honor your loved ones who have served. We will post a picture and accompanying information on our web site and social media. Thank you so much! 1. E-mail a picture of your loved one who served to info@unitetheusa.org. 2. Include your loved one's name, military branch, rank, and years of service. 3. Let us know if you would like other key information shared as well. 1. Let us help you honor the heroes in your life. If you have a loved one who is a veteran or who is currently in the military, send Stacie and Carrie his or her picture, name, military branch, rank to info@unitetheusa.org. Unite the USA will post the information online as a way to honor and thank them. 2. Be sure to set aside time to thank our heroes. Thank them in person, on the phone, in a card, or through an e-mail. 3. During the summer months, many veterans and servicemen and women march in local parades. A good time to reach out and thank them is after the parade. Watch for their military distinctions on their jackets and hats. Just earnestly thank them. They will appreciate your appreciation. 5. Invite a veteran to dinner, send a gift card to their favorite restaurant, or order/deliver a meal for them. Take him or a her a gift. Just do something to show that you care and that you are grateful for their service. 1. For starters, begin with the basics. Explain what a veteran is and what that means. Children's book on the subject can be helpful in the teaching process. 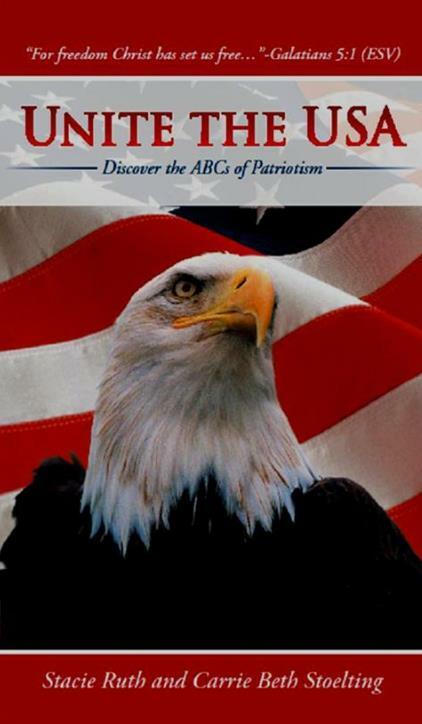 Click here for children's book options that are about veterans and patriotism. Visit your local library for more ideas. 2. Tell your kids about friends or family members who have served our country. Show them pictures to make it more real and meaningful. 3. Introduce your kids to veterans. If you have a friend or relative who served, make sure your child has the opportunity to meet him/her. 4. Attend a parade together. Often veterans are honored in parades. Afterwards is a great time to meet and thank them. 5. With your child, write a thank you card or color a picture to give to a veteran. It means so much to veterans to be remembered -especially by children...They are the future. Gold Star Moms Karen Zook and Linda Schumann share about their sons and the true meaning of Memorial Day. "On Memorial Day, our nation honors those who not only served, but who gave the full measure of valor -their very lives- for this great nation. It is important for Americans to understand that these men and women gave everything serving this country and defending a Constitution that guarantees freedom for all people inside these United States." On December 7, 1941, the Japanese attacked the United Stated at Pearl Harbor in Hawaii. 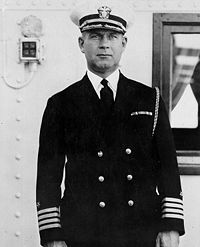 Rear Admiral Isaac C. Kidd rushed to his flag ship, the USS Arizona. As a dedicated commanding officer, he refused to abandon ship while his men were in danger. He remained faithful to his duties and showed tremendous leadership until the bridge of the ship was hit by an enemy bomb; killing him instantly. 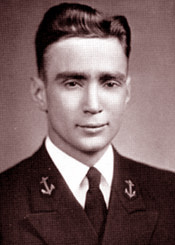 Rear Admiral Kidd was the first Navy flag officer to die in combat. The only trace of Rear Admiral Kidd found by rescuers was his Naval Academy ring that was fused to a bulkhead on the Arizona's bridge. 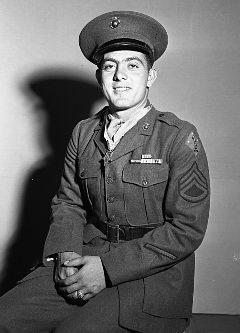 Gunnery Sergeant John Basilone was among the Marines at Iwo Jima on February 19, 1945. When the Marines' advance was delayed by Japanese fire from a blockhouse, Basilone led an attack to abolish the enemy position. Basilone led the Marines forward near the Motoyama Number One airfield. While he went to get reinforcements, he ordered the Marines to hold the ground "come hell or high water". As Basilone ran forward with a new group of Marines, a mortar exploded in their midst --killing him instantly. 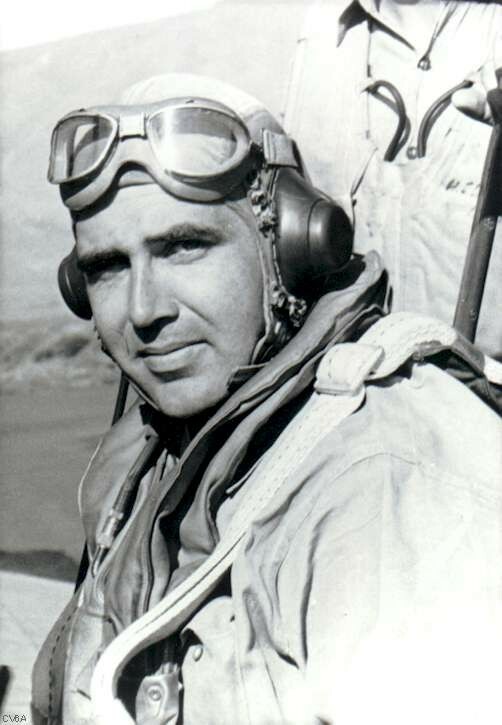 Lt. John James Powers was a Naval aviator in the Battle of the Coral Sear. His goal was to make sure he sank as many enemy ships as possible. In order to do that, Lt. Powers would dive within feet of the enemy before releasing his payload. He was fully aware that flying that low was suicide, but he had deemed winning this battle to be more important than his own life. The last time he was seen, he had just sunk a Japanese carrier when his plane was shot down and killed him. On February 20, 1942, nine Japanese bombers were on their way to destroy the American aircraft carrier Lexington, but one man stood in the way: Butch O'Hare. He had .50 caliber guns on his aircraft (F4F Wildcat) but only had enough ammunition to last about 34 seconds of firing. If he missed, his aircraft would be destroyed. O'Hare single-handedly shot down five enemy bombers and disabled a sixth. As a result, he saved his ship. It was one of the most daring actions in combat aviation history. 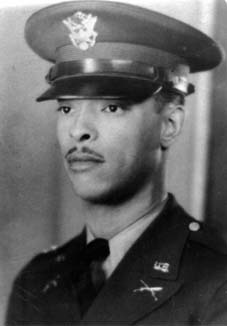 O'Hare continued to serve his country until November 1943 when he was killed in action. The O'Hare International Airport in Chicago, Illinois is named in his honor. First Lieutenant John Fox was a member of the famed Buffalo Soldiers. In December 1944, a German battalion attacked the Allied position in a small village in Northern Italy. Fox bravely volunteered to stay behind to direct artillery. The Germans continued to advance until they were directly on top of Fox's position. Fox radioed his men to fire. The men objected because they knew Fox would be killed. Fox knew that he would die, but he responded with two words: "Fire it!" 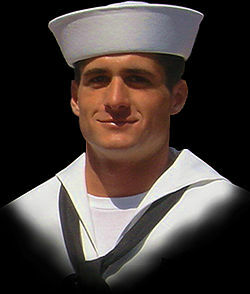 John Fox gave his life so his fellow soldiers could live. The Sullivan brothers were natives of Waterloo, Iowa. They all enlisted on January 3, 1942 with the condition that they serve together. (At the time the Navy had a policy of separating siblings, but the policy was not strictly enforced.) The Sullivan brothers' motto was, "We stick together." Tragically, all five brothers were killed when their ship the USS Juneau (CL-52) was sunk by a Japanese submarine. The Juneau fought in several naval engagements during the months-long Battle of Guadalcanal. However, on November 13, 1942 the carrier was hit by a torpedo and had to withdraw. As it was leaving the Solomon Islands' area later that day, the Juneau was struck again. This time, it was hit from a torpedo by Japanese submarine I-26. The Juneau quickly sank. Rescue efforts were delayed due the Japanese continued presence in the area. Eight days later ten survivors were retrieved from the water. The survivors reported that Frank, Joe, and Matt Sullivan were killed instantly. Al drowned the following day and George lived for four or five days. 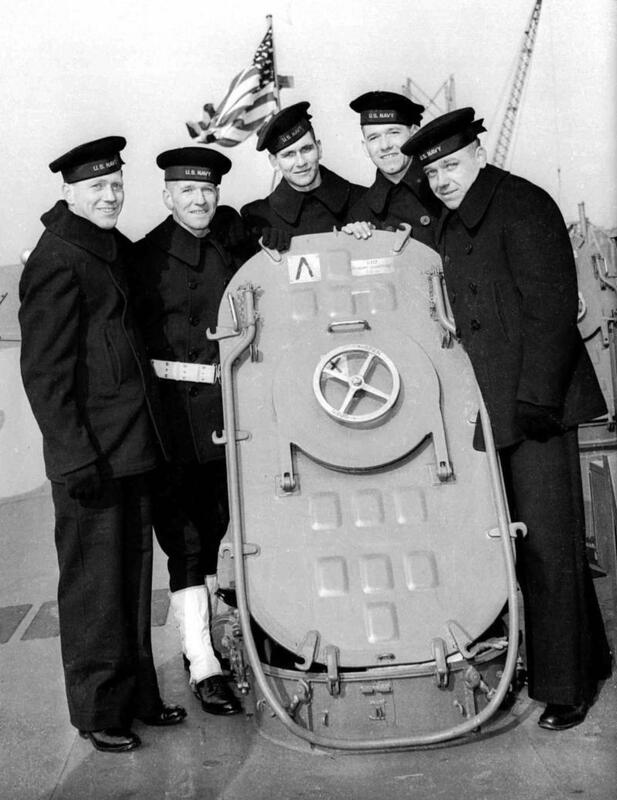 The death of the five Sullivan brothers was so horrible it forced the U.S. War Department to adopt "The Sole Survivor Policy" so it would never happen again. The searing heartache that the Sullivan family suffered is truly unimaginable. The Navy named two destroyers The Sullivans to honor the brothers: The Sullivans (DDG-68) and The Sullivans (DD-537). They were the first U.S. navy ships to be named after more than one person. Corporal Joe R. Baldonado was in North Korea when his unit came under heavy attack at 4:00 A.M., two days after Thanksgiving. Within two hours, his platoon had used up most of their ammunition and they were in imminent danger of being overrun. Baldonado willingly risked his own life and placed his machine gun in an exposed position. His plan worked and caused the enemy to fall back. The Communists realized that he was one stubborn machine gunner and that he was the cause of why they were losing momentum. So they concentrated all their firepower on Baldonado. Nevertheless, he wouldn't stop! He continued firing even as grenades exploded all around him. The enemy made repeated attempts to storm his position, but they discovered that each attempt caused many casualties thanks to Baldonado. The enemy finally withdrew, but not before a grenade landed by Baldonado which killed him instantly. 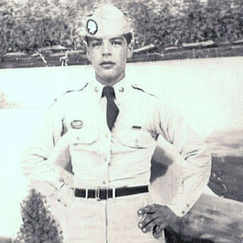 During the Korean War, Baldonado and other brave servicemen like him helped slow the enemy's advance. By early 1951, the battle lines were in the general area of what is today the demilitarized zone. 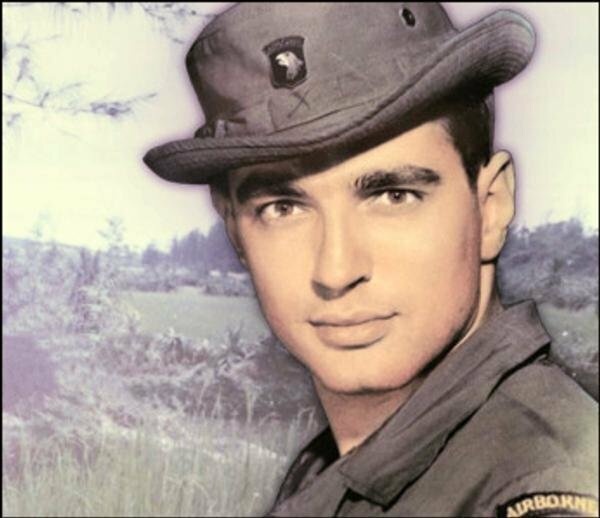 Army Specialist Leslie H. Sabo Jr. near the village of Se San in eastern Cambodia. 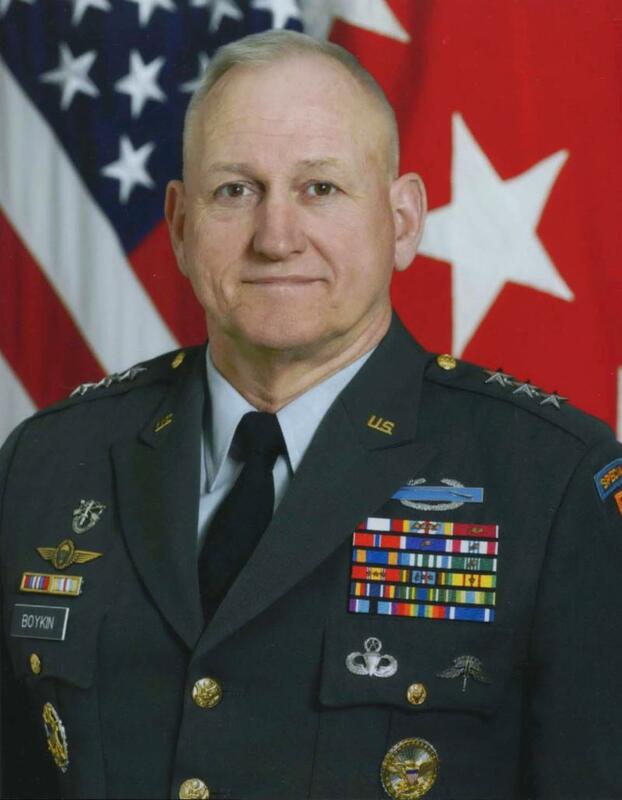 On May 10, 1970 his unit was ambushed by North Vietnamese forces. Sabo was a rifleman. Sabo charged up from the back, grabbed an enemy grenade and tossed it away. He used his body to shield a fellow soldier. Disregarding his own injuries, he crawled straight toward an enemy bunker, even as the bullets hit the ground all around him. Then, he grabbed a grenade and he pulled the pin. Sabo held the grenade until the last possible moment because he could stop the deadly bunker and save lives -except his own. He knew it would take his own life but that it would save his comrades and that meant more to him. On February 15, 1991, Captain Stephen R. Phillis and his wingman Robert James Sweet were sent on a mission into Iraq to bomb the enemy. They went 80 miles further than any other A-10 had gone before. 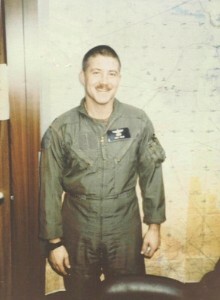 After completing their mission, Phillis and Sweet were flying back to the Saudi border when Sweet's plane was hit by enemy fire. One of the plane's engines was damaged and his plane became difficult to control. Sweet knew he needed to eject: He radioed his plan to Phillis and then ejected the plane. In response, Phillis turned his plane back to try to determine his wingman's exact location. (That way, a search could be conducted with greater precision and speed.) As he was doing so, Phillis was hit by intense enemy fire and had no time to eject. His plane crashed. God bless the memory of this brave captain. "Mikey looked death in the face that day and said, 'You cannot take my brothers. I will go in there instead.' In that terrible moment, he had two options-to save himself, or to save his friends. For Mike, this was no choice at all. He threw himself onto the grenade and absorbed the blast with his body." May God bless the families of these heroes.